Keeping It Real was founded as an after school bible study where young adults from all paths of life would gather to learn about a personal God. No gimmicks, no rules, nor regulations. Young people encountering a real God and their lives changed because of it. The response was so great that it eventually evolved into a church. This is the truth that KIR continues to be founded on: We welcome those who are broken and are in need of a savior. We believe that a real God wants to reveal to you personally a real faith, a real hope, and a real love; one that would alter the course of your life. Currently, we are on a mission to see the broken and the lost come to Jesus in the San Fernando Valley. We are actively mentoring individuals to be all that Christ has called them to be. We are experiencing a special move of God and we hope that you will join us. Ministering for over 30 years. Dedicated to reaching the world for Christ by being sensitive to what God is doing today! They embody the “Keeping It Real” approach – No games or religious rules. Just real love, real hope, real faith. 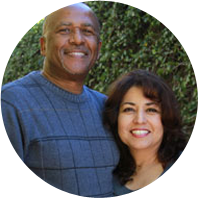 Reggie and Cindy are college graduates and work directly with young believers as mentors. 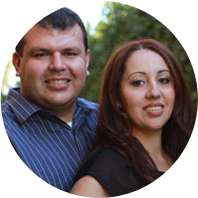 They also are the Directors of Next Generation ministries, KIR’s social outreach into the San Fernando Valley. They have a passion to see people’s lives radically changed by the love of Jesus and believe that each person has a powerful destiny waiting to be discovered. Jesse and Liz are well respected business owners. The parents of two wonderful children. 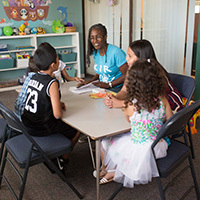 They have a unique and loving approach towards families that are struggling. 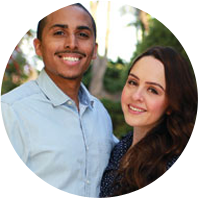 Jesse ministers in the SFV youth detention facilities and Liz ministers in the Women’s ministries. At Keeping it Real Church, we believe in the spiritual investment of your child and we do it while having fun. We want to get along side you and contribute to the raising of a child who is filled with love, confidence, and all the great attributes God offers. We invite you to allow your child to begin that journey at KIR Kids. KIR Kids is available at each service right after worship for all ages. 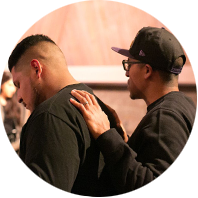 The purpose of our Men’s Ministry is to reach men with the gospel of Jesus, encouraging and equipping them to become spiritual leaders for their families, church, community and vocation. As men learn their identities in God through discipleship, fellowship and accountability, they will be able to build stronger marriages, grow spiritually and reach other men in our communities. In a world were women are just surviving, we believe women were created to Conquer. Yes, Conquer in every area of our lives. She conquers was birthed as a single mom’s ministry which has now evolved into a ministry that includes women from all walks of life. We invite you to embark on this journey with us, as we discover the women that God has created us to be. 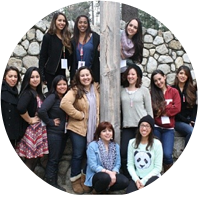 Not just mere women, but women who are empowered, changed, and purposed by a powerful and personal God.